a year round ethical reflection curriculum including seminars, retreats, and events. Are you an RPCV who is passionate about making a difference? Are you interested in translating your service abroad into engaged service-learning experiences here in Baltimore? Are you ready to join an engaged community of social change leaders? Prospective applicants should read through the website to learn more about the program, review the FAQs, and feel free to reach out with any questions they may have that are not answered here on the site. Applications are due by January 13th. 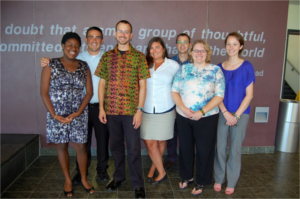 Fellowships are awarded annually, and the Peaceworker Program year begins in late-July.